Is it reasonable to trade the markets and expect not to lose money? Of course, the answer is NO. So, the challenge for any trader or investor is to know when to close a trade at a loss so that you can stay to trade another day. I refer to this as learning to lose the right way. The stunned looks on the faces of my audience still amuses me when I step before a new group at a financial conference and announce that our first goal is to teach the correct way to lose money. More than a few people reply that they already have that part of the game down pat, no more instruction needed. Joking aside, do you really know how to lose money in such a way that you can remain in the markets for the profits? The Market Guys’ approach to limiting losses is called “The 1% Rule”. In a nutshell, the goal is to NOT lose more that 1 percent of your trading account value on any given trade. Let me break the rule down a little before I move forward. First, it’s important to understand that your trading account is not your net worth. I don’t recommend actively trading with more than about 20 percent of your entire portfolio value. The rest of the 80 percent should be allocated according to your overall financial plan and may include such investments as cash, bonds, real estate, and dividend stocks or funds. I would also suggest that you not trade in your retirement account, because you wouldn’t want to risk the money you plan to use during the golden years of your life. The best thing to do is to fund a separate trading account using money that I would call “expendable cash”. To keep the numbers simple, let’s assume that the amount of cash you will be trading with is $100,000. If your trading account is less than this, don’t worry, just adjust the numbers accordingly and follow along with my formula. Second, each and every trade is capped to a loss of 1 percent of the trading account. Your first trade in my example account should not lose more than 1 percent of $100,000, or $1,000. If you have two open positions, they each get $1,000 for a total possible loss of $2,000. Notice that I’m not saying anything about the stock yet. The stock may fall 10 percent in share price, but the corresponding loss in your account should not exceed $1,000 per position. This $1,000 represents the Risk Amount. There is nothing magical about 1 percent. It’s a good number that I’ve found to work very well in practice. If you tend to be an active day trader, then you might want to reduce the 1 percent to ½ percent. However, if you trade less often and tend to hold your trades for 3 months, or longer, you could adjust the risk amount to 2 percent of your trading account. The point I want to stress is that you shouldn’t adjust the risk amount on the fly. If you’re using the 1% Rule, then every trade should follow the rule. The third step is to calculate the Risk per Share. In order to do this, you’ll have to refer to your technical chart, because the next question you need to answer is “Where am I going to get out of this trade if I’m wrong?” If you don’t answer this question right up front, you will find yourself in the middle of a mind game, coming up with all kinds of creative excuses for continuing to hold on to a losing trade. The logic behind this point is: Failure of the reason you entered the trade, should be the reason you exit the trade. If you bought the stock because it was showing strength as it bounced off a key support line, then you’ll need to sell the stock when it shows weakness below the support line. This is the very reason you will need to refer to the chart because support should be a clear area where the buyers showed interest in the past, which caused the stock to rally off of a low. If you are not familiar with how to draw a simple support line, then I would like to invite you to my video library, where you will be able to find a number of educational videos that explain how to do this (www.themarketguys.com). After you have bought into your new position (on strength) you would set your sell stop order somewhere below support. The difference between your purchase price and your stop price is called the Risk per Share. If you have never placed a stop loss order before, or if you’re unsure about where to place it, then refer to my website. I’ve produced a video that will explain the importance of setting a stop, and how to set it up in your trading account. Now it’s time to plug in the numbers. I’ve already shown you how to calculate the risk amount (1% of your account value) and I’ve just explained how to come up with the Risk per Share. This next step is going to help you “Size the Position”. Just because you have free cash sitting in your account, doesn’t mean you should go on a shopping spree in an effort to exhaust all of your buying power. The simple formula I’m about to give you will help determine the maximum number of shares you should put into any one position. Example: If you have a risk amount equal to $1000, and your stop loss order is set $2 below your buy price, then divide the risk amount by your risk per share (2) to determine how many shares you should be buying (1000 divided by 2 equals 500 shares). If you would like to give the stock a little bit more room to breathe, and you feel that it’s best to set your stop price $4 below your buy price, then you will only be able to buy 250 shares of the stock. This formula gives you a lot of flexibility but remember, if you want to give the stock more room to move on the downside, then you will have to sacrifice by buying a smaller position. 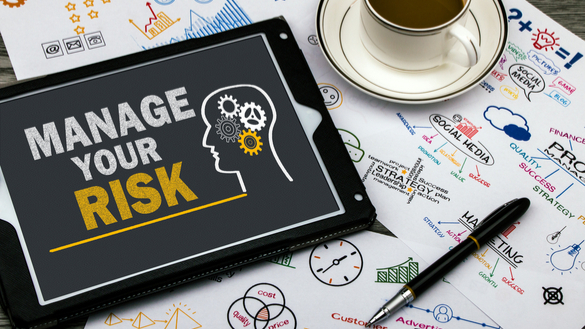 Maintaining a good risk management discipline is, in my opinion, the most important part of trading; and if you want to be successful in the markets, then you’ll have to accept the fact that you are going to lose money from time to time. The key is to lose as little as possible during those times when a stock moves against you, so you can preserve as much of your profits as possible. This will help prevent a catastrophic loss from knocking you out of the market altogether and give you another chance to make your money on the next trade.